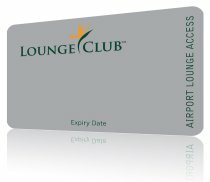 LOUNGE CLUB™ membership is a great way to get access to airport lounges throughout the world. We are an independent airport lounge program, which means that you have access to our partner lounges regardless of the airline or class of travel you are flying. Or just treat yourself to some quiet time while you wait. Our partner lounges offer a wide range of refreshments. Many have excellent business facilities including wi-fi access. Comfortable seating and TV, newspapers and magazines. LOUNGE CLUB™ membership is offered through our business partners. To join now, use the link provided by your provider. And call us if you have any questions about our program.